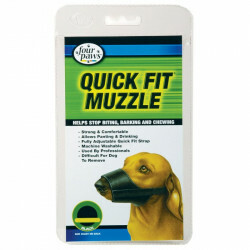 Muzzles are often an unfortunate but necessary item for dog owners to have on hand. 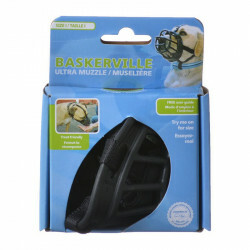 Muzzles provide essential restraint while on walks, during playtime, and if your dog has a tendency to bark non-stop. 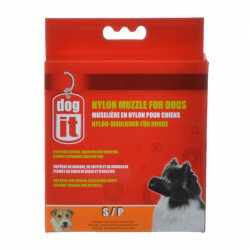 And when one is needed, it is crucial to make sure you have just the right muzzle to suit your dog. In the past, muzzles have been borderline cruel devices, but modern muzzles are made with the comfort of the dog in mind. Pet Mountain's Dog Muzzle store offers dog owners a variety of muzzle selections to suit every dog without sacrificing comfort. 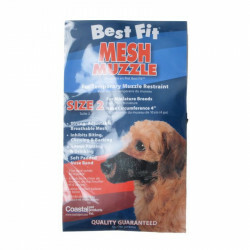 Coastal Pet's Best Fit Mesh muzzle allows your dog total breathability and features a padded nose band to prohibit chafing. The Four Paws Quick Fit muzzle features snap-lock buckles for instant sizing. And Pet Supply Imports' Plastic Basket Muzzle provides total security without the weight and discomfort of metal.